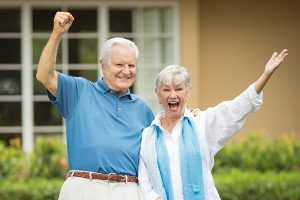 As wonderful of a decision as it is for many people, moving into a senior living community is a big transition. If you’ve lived in your home a long time, it’s likely filled with memories and belongings you’ve acquired over the years. Deciding what you’ll take on the next phase of your journey as well as what you’ll leave behind can be a daunting and emotional process. To make downsizing less stressful and more seamless, taking the time to strategize and plan before packing is key. Consider the following four tips before you get started. Don’t wait. Ideally, your transition to senior living is planned, but that’s not always the case. Rather than waiting until the unexpected happens, consider downsizing ahead of time. Start by taking an inventory of your home. What haven’t you used within the last year? What do you look at and always think “I should get rid of this?” Create a list of items that can go, and be mindful when shopping for new items as well. “Do I really need this?” and “how will this better my life?” are two good questions to ask yourself. Additionally, when you start searching for a new place to call home, take steps to organize your current one. Get rid of any duplicate items you own, and start giving away the legacy items you were saving for children and grandchildren. These small steps will pay off when you’re in the midst of moving. Create a plan. The thought of packing up your entire house can be a daunting one, but creating a plan will help you do it quickly and efficiently. Start with the biggest rooms, like the kitchen, living room and family room. These tend to be the most cluttered, so getting them out of the way first is best. You should also have a plan for what you’ll do with unwanted items. Decide whether selling or donating is best, and create piles of things to keep or give away. Avoid having a “maybe” pile by forcing yourself to take a hard look at every item. If you use it regularly, keep it; if it’s been more than six months to a year, it may be time to let it go. You should also be sure to measure the furniture you plan to keep to make sure it will fit within the dimensions of your new place. Ask for help. The transition to senior living may be a major change for your family as well, so allow them to take part in the process. Ask family members if they’d like to help you pare down and pack your belongings — this can be a great time to reminisce and share stories about your past. Don’t be afraid to seek professional help as well. There are companies that specialize in senior downsizing and moving. Ask the community you’re transitioning to if they have a list of local services or visit the National Association of Senior Move Managers’ website for information on services in your area. Expect emotions. Don’t be afraid to cry or feel emotional during this process. It’s okay to feel nostalgic when going through your children’s old bedrooms or coming across items that carry special memories. Take the time the pause and reminisce when this happens. By starting early, you’ll have plenty of time to take a moment and allow yourself to process what is happening. Feeling sad, stressed or worried is natural and doesn’t mean you’re making the wrong choice. Change can be a scary thing for all of us, but acknowledging your feelings will help make the transition easier. At The Avenues Crofton Park, we can help ease the stress of transitioning to senior living through our unique Bridge-to-Sell program, which enables future residents who are in the process of selling their current home to reserve their new home without having to pay rent immediately. To learn more, give us a call at 720-799-0915.